Страница 430 из 435 На страницу Пред. 1, 2, 3, 4 ... 428, 429, 430, 431, 432, 433, 434, 435 След. 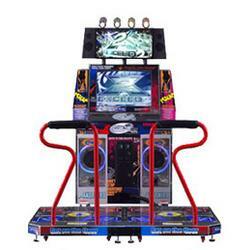 Pump It Up Zero is the 7th International Dance Floor in Pump It Up series, which was released in Feb 2006. It features 131 songs with many old favorites and 25 new songs. - BGA Preview: you can preview when selecting a song. - You can select your mode and channel on the same screen. - Split mode selection: players of different skill levels can play together using different modes. - Stengthened step: well arranged steps for more fun. - Reward system: total 50 hidden items that appear, according to game play. - Another step: additional 30 steps for PIU speeder fanatics; another channel does not appear initially. - Mission system: new ways to play, via special challenges for players. The gameplay is similar to the previous games, featuring Normal, Hard and Crazy, and also Freestyle and Nightmare for single-players. Хоть я и не уверен, что много людей будут им пользоваться, но надеюсь увидеть там слова благодарности в адрес нашего сайта. dam 100837 ваше_сообщение на номер 4443 и оно будет добавлено. И вы моментально увидите сообщение в колонке слева. These are all the default modifiers that are available right away. They can only be entered during the song select screen in Arcade Station and Remix Station. Modifiers are not allowed in Mission Station. Where 7 = Up-left, 3=down-right, 5 = center panel, etc.